﻿ How much do wooden sash windows cost? A buyer's guide. How much do wooden sash windows cost? A buyer’s guide to wooden sash windows. Here at Windows and Doors UK, we have a range of wooden windows available for purchase. 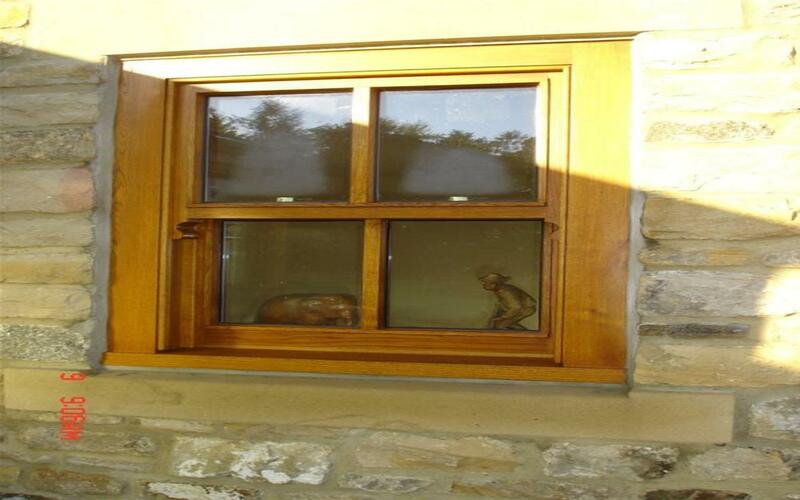 Our type of windows include: Oak windows, casement windows and timber replacement windows. In addition, we sell box sash windows and sliding sash windows. Here, we offer a buyerâ€™s guide to sash windows so our customers know exactly what theyâ€™re investing in when they purchase new sash windows. What are wooden sash windows? Wooden sash windows are fitted in both traditional, historic homes as well as more modern properties and are, essentially, wooden windows that feature at least two vertically sliding panels. Wooden sash windows can be referred to as vertical sliding sash windows, hung sash windows or box sash windows. On rare occasions, the windows can be triple or quadruple hung which can be made to order (3 or 4 moving panels). What is the difference between wooden sash windows and casement windows? The key difference between casement windows and sash windows is the fact that casement windows open on a hinge, where sash windows slide open and shut. Where can you buy wooden sash windows? You can buy sash windows from various window manufacturers, online or on the high-street. Here at Windows and Doors UK, we are a reputable company that provide meticulously well-manufactured windows that are designed for accuracy and repeatability. You can also search for other window manufacturers online and speak to a local builder who may be able to recommend windows for your home. Are wooden sash windows suitable for your home? Wooden sash windows can be installed in all properties and are, ultimately, suitable for any home. We find that wooden sash windows are suitable in both traditional and modern properties. How are wooden sash windows installed? It is preferable to have your windows delivered as close to the installation time as possible. Check that your delivery is free from damage and that you have received the correct order. Always lift your window sets by the outer frame to avoid damage, carry them vertically and never drag the windows. Use the correct tools and wear the necessary personal protective equipment. Plan to install and seal the new windows on the same day as removing the older ones. Remove your old windows and ensure they are stored away from the area before installing your new wooden sash windows. Fit the waterproof plastic flashing to the bottom of the sash window frame. Drill pilot holes for the frame. Install the window by putting the window in the correct position, sliding the sash upwards and applying the screws to the pilot holes. Take care not to damage the window and if in any doubt hire a professional installer. How much do wooden sash windows cost? The cost of your wooden sash windows depends on the size, glazing options and type of frame you have. The cost of wooden sash windows starts from around Â£350 per window and goes up to Â£750 at Windows and Doors UK. The cost of installation will depend on who you hire to install your windows and whether you fit them yourself.